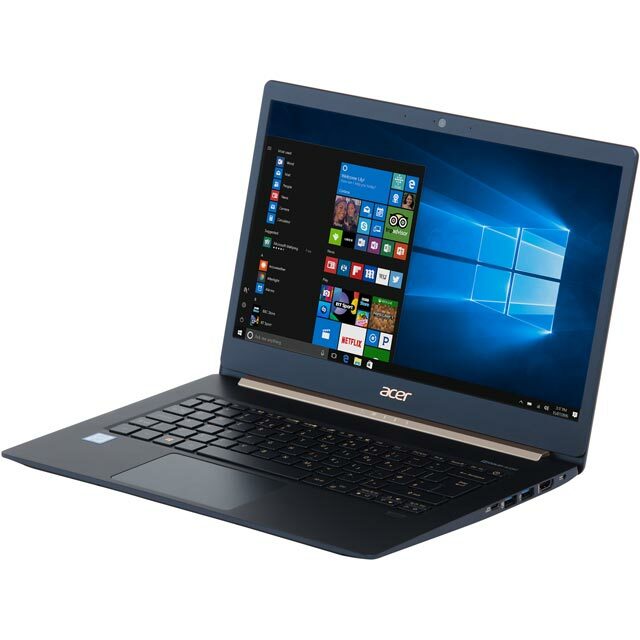 This Acer Swift 5 laptop is a great combination of power and portability. The stylish thin and light design (it weighs just 0.9kg) is complemented by an 8 hour battery life that makes working on-the-go an absolute breeze. Not that function has been sacrificed for form; there’s an Intel® Core™ i5 processorand 8GB of RAM under the hood that will keep everything running nice and smooth. Plus, as well as allowing for the slick design, the 256GB SSD offers speedy load times and plenty of room for storing all your files. Don’t forget to pick up a copy of Microsoft Office, and an antivirus package to keep you safe online. This laptop is as sturdy as it is stylish. The all-metal body gives it an elegant premium feel, as well as a reinforced build so you know it will stand up to the daily wear and tear. No matter where you are or what you’re up to, it’s a durable companion that’s guaranteed to turn a few heads. Share the screen with a buddy thanks to this model’s IPS display. It offers a wider viewing angle, so you can both enjoy the clear Full HD visuals that’ll really bring your videos to life. 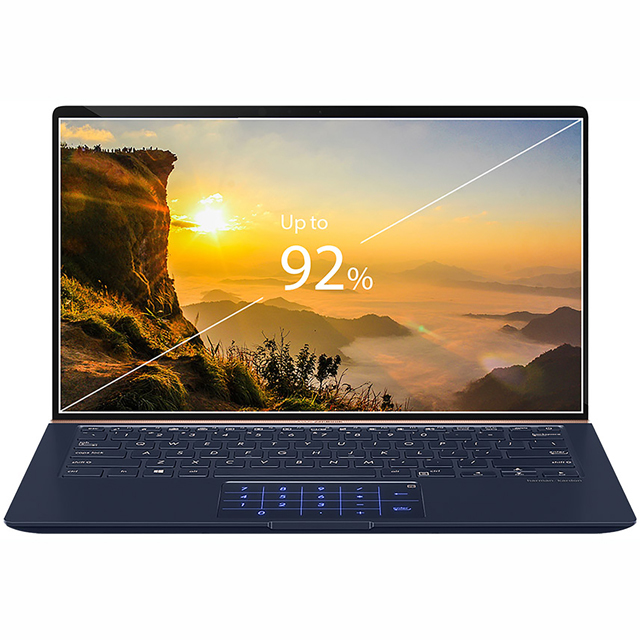 Whether you’re relaxing with a movie, or streaming the latest hit shows, this laptop’s screen can make them that little bit more enjoyable. Experience incredible sound quality as Dolby Audio Premium meets Acer’s TrueHarmony technology. This model’s TrueHarmony speakers are designed to deliver deeper bass and more volume, and they’re supported by Dolby Audio Premium software for immersive, virtual surround sound. Needless to say, whether it’s music or movies, you can get totally lost in whatever you’re listening to. The super-sleek and slimline laptop makes it a perfect model for taking out and about. It boasts an ultra-thin and incredibly lightweight design, so it can be easily slipped into a bag or backpack without weighing you down. So whether you’re wanting to get a jump on the days’ tasks on the train, or are just in the mood for a change of scenery, it’ll let you get your head down wherever you fancy. I spent a long time choosing this, and I have not been disappointed! It’s quick, light and boots up in no time. Very happy with my purchase. Slim, light and does everything you need it to. I bought this laptop as I needed something small, but light, for travelling with. It is all that and more! It is so light.. but, doesn't feel flimsy due to the metal shell. The touchscreen is a real bonus and the speed is great thanks to the SSD storage. All in all a great entry level ultrabook.